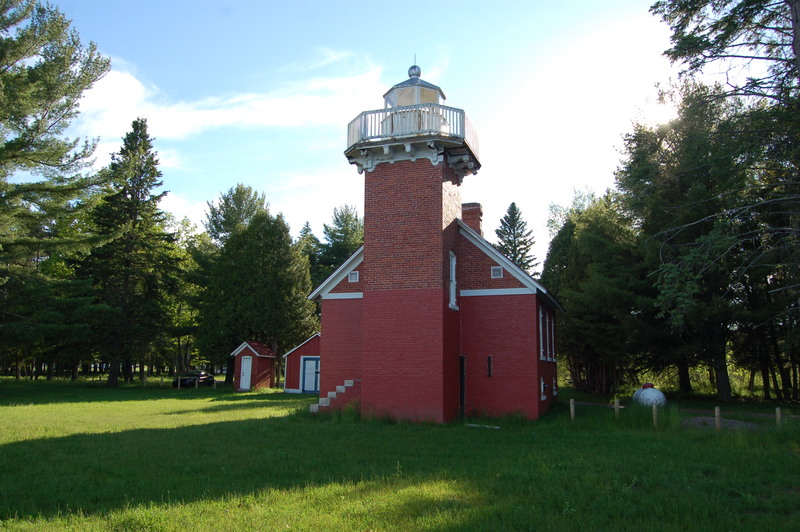 The Sand Point Lighthouse in Baraga, Michigan is of two lighthouses in the state with that name (the other is in Escanaba), and is easy to visit thanks to its location at a campground and recreation area. 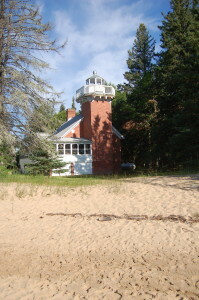 The lighthouse is just a few miles north of Baraga State Park, and it marks the entrance to L’Anse Bay from Lake Superior. 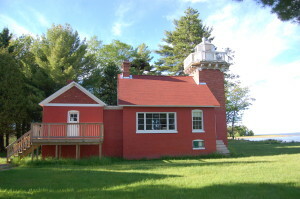 The lighthouse is constructed of red brick, with the tower attached to a 1.5 story dwelling. 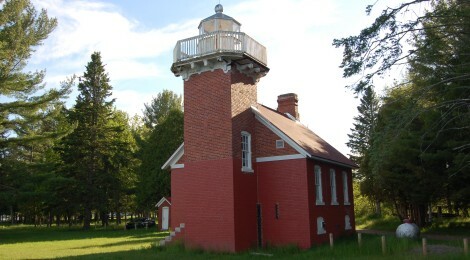 The square tower stands roughly 35 feet tall and its later room is painted white. This station went into operation in the late 1870s and it served until the early 1920s. 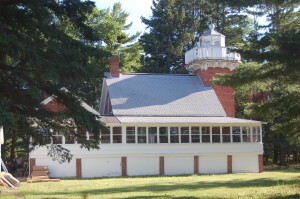 The Sand Point Lighthouse then spent many years as a private residence before being purchased by the Keweenaw Bay Indian Community in the 1990s. 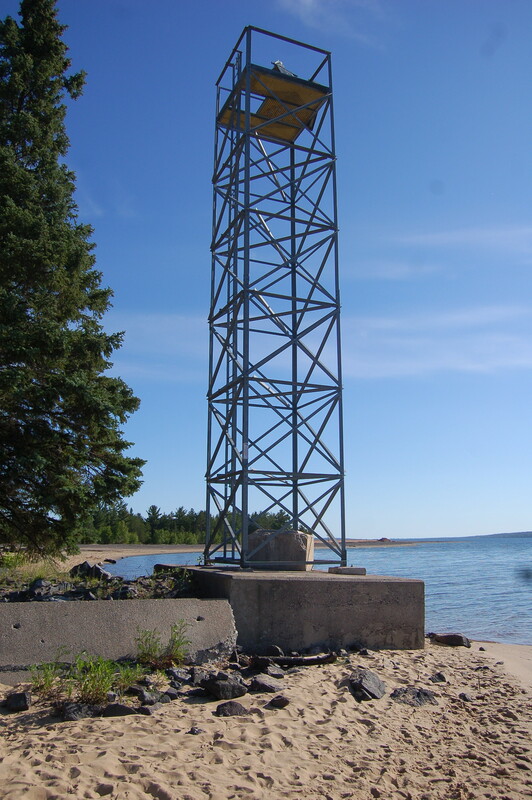 After the lighthouse was decommissioned, a steel skeletal tower was placed closer to the water as a replacement beacon. One of the private owners added a white screened-in porch to the lighthouse, which can be seen in these photos from our visit to Sand Point in 2012. When me made a return visit in 2016, the porch had been taken away and the brick had been repainted, returning the lighthouse to (presumably) the way it used to look. 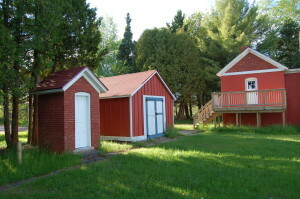 A few outbuildings also remain on the grounds. The Keweenaw Bay Indian Community has granted permission for visitors to walk the lighthouse grounds and take photographs, but at this time the building itself is not open for tours. 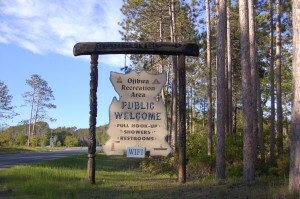 To reach the Sand Point Lighthouse, drive north from Baraga on US-41 for about a mile, and look for the Ojibwa Campground sign on the right after the Michigan DNR building. Turn here, and follow the gravel road to the right, then take the right fork towards the lighthouse (left fork leads to campground), see map at bottom of page for details. 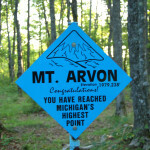 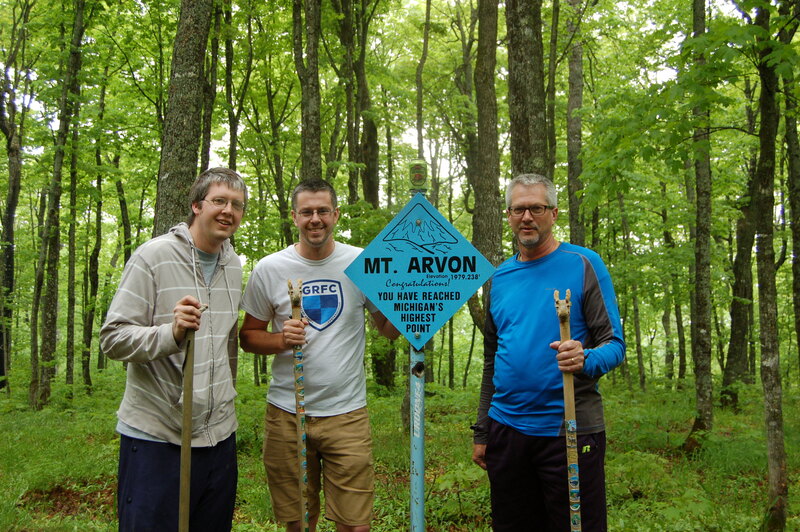 Nearby attractions that we recommend checking out include Baraga State Park, Michigan’s highest point Mt. 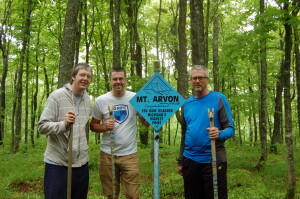 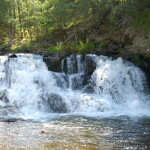 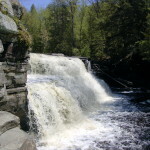 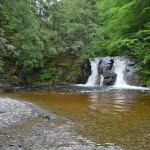 Arvon, the numerous waterfalls on the Falls River, Silver Falls, Powerhouse Falls, Assinins historic site and the Shrine of the Snowshoe Priest – Frederic Baraga.